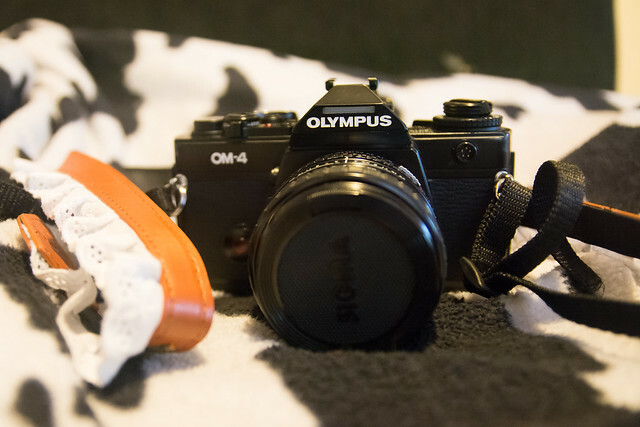 I have had my eye on the Olympus OM-4 for a while and managed to get one in flawless condition complete with a Sigma 28mm lens from eBay. I am looking forward to running a test roll of film through this! This entry was posted in film, olympus, photography and tagged film photography, Olympus, olympus OM-4, Olympus OM4. Bookmark the permalink. Congratulations with your camera! It is a fantastic tool. Have you checked your circuit board? Perhaps you’re lucky and your camera has an updated board. It seems alright so far, everything works and batteries seem fine! You just can’t beat that new camera feeling! Have fun, hope we can see some results soon! Well I started my test roll today so hopefully will have something to show soon! I love my OM! 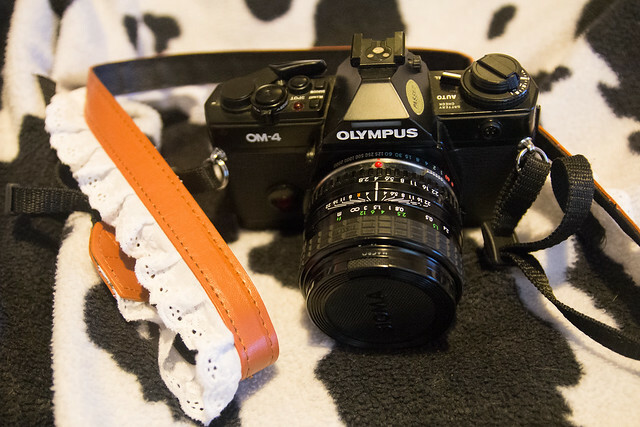 I have the OM-1 MD. It is a joy to use! I love the whole OM series, I want to buy them all!